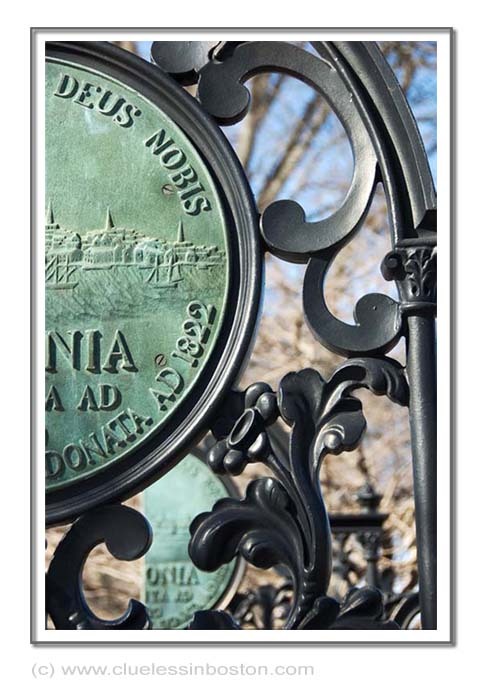 Gates of the Boston Public Garden. Here's a another view of the gates. Beautiful crisp shot framed with a sense of echoes. Very nice. Have a great weekend in the lovely city of Boston! This is a wonderful image of artful metalsmith' work. LOVE the colors! And not one speck of city dust on those gates! i like it. great composition! Nice shot. Lots of good things going on. Great subject.